Dental checkups can provide a variety of benefits to your oral and overall health, but did you know that by visiting your dentist every six months, he may actually be able to spot digestive health problems? It's true - your dentist can tell a lot about your overall health by giving your mouth a simple once over. If your dentist notices enamel erosion on the insides of the teeth, especially on the back molars, this is a good indication that you are suffering from acid reflux. Nighttime reflux is especially common, as reflux of the stomach juices can happen while you are asleep and aren't even aware of it. Your dentist could be the first person to notice the effects and diagnose the condition. Crohn's disease can cause some problems with your mouth that your dentist might be able to identify, although you likely already have a diagnosis before this stage. Crohn's can cause problems with cavities and gum inflammation, but the most common issue is mouth sores. Canker sores are especially troubling, and it is suspected that the inflammation that is involved with Crohn's is a major contributing factor. Peptic ulcers are the result of bacteria in the small intestine that can weaken the protective coating of the stomach. While burning pain in the stomach is the most common symptom, treatment for these ulcers can actually affect your mouth. Your doctor could recommend that you use bismuth subsalicylate to treat the bacteria, but in return, you may end up with a tongue that appears blackened temporarily. 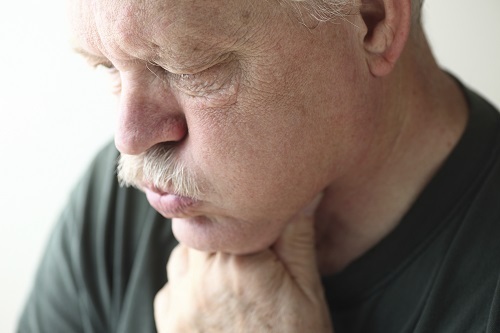 Be sure to let your dentist know if you are taking medication to combat a peptic ulcer. An oral exam is a great reason to make regular dental visits a part of your life. If it has been awhile since your last visit to the dentist, contact our office to set up an appointment.